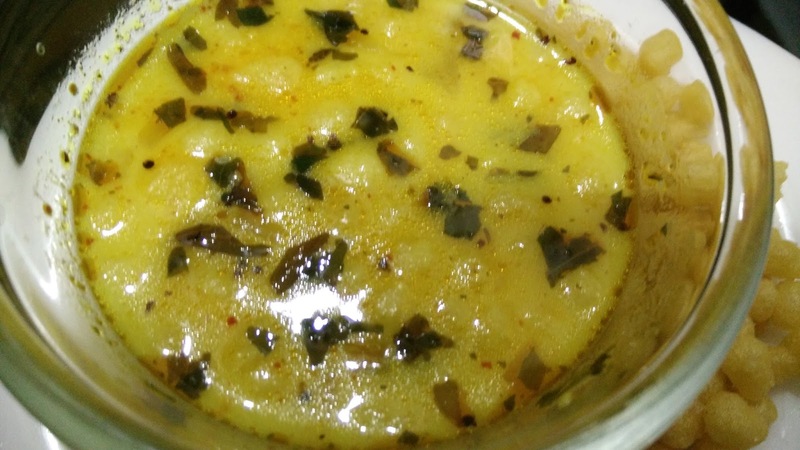 Kadhi is a very famous Punjabi recipe but usually takes time to cook. Soup maker made my process of making Kadhi much simpler as now I do not have to cook it for long time in a kadai. Simply switch in the soup maker and select the program and your job is done. So now you know soup maker prepares much than only soups. Make a paste of water and gram flour. In soup maker add 2 cups of water, curd, gram flour paste. Add more water to reach the minimum or the maximum level mark in the soup maker. Close the lid the soup maker. Select the soup program and start. The appliance will automatically switch off when done. Turn on 1 more time on the same program till the curry is properly cooked. Prepare the tempering or the tadka, heat oil in a pan and splutter mustard seeds. Saute onions, green chili and all the spices. Once curry is cooked, add the tempering. Add gram flour balls or boondi in curry if required. Serve hot.